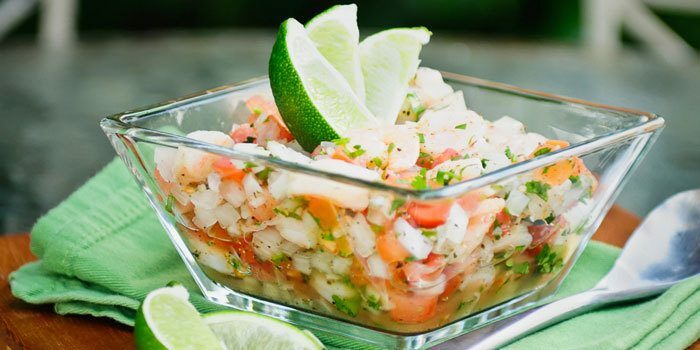 This Baja California-style ceviche is made with shrimp, fresh lime juice, and refreshing cucumber. Make it as mild or spicy as you want by adjusting the chili peppers to your taste. Serving it in endive shells is a clever and crunchy alternative to fried tortilla chips. 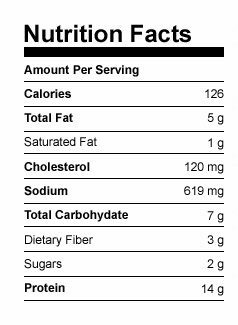 Combine lime juice and shrimp in a medium bowl; mix well. Marinate, covered, in the refrigerator, for 6 to 24 hours. 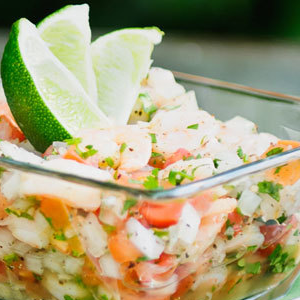 Combine shrimp mixture, cucumber, onion, chiles (if desired), and tomato in a large bowl; mix well. Add avocado, cilantro, and salt; toss gently to blend. Evenly portion shrimp mixture into endive leaves. Serve two leaves for each portion.